Unfortunately, semi or tractor-trailer truck accidents are often much more serious than car accidents. Due to a truck’s increased mass and physics, a large truck is capable of doing heavy damage and can cause serious, sometimes fatal, injuries. Knowing the most dangerous risk factors can help keep you safer on the road. Atlanta personal injury lawyers Brownstein & Nguyen have assisted in truck accident cases, and want you to be aware of the following variables often involved in truck accidents in Georgia. Due to their length, semi trucks make extremely wide turns. Drivers of other vehicles may not be consider a truck’s turning radius, so they may not give the truck a wide enough berth at intersections. Novice truck drivers may also underestimate their vehicle’s size, and assume that they have more room to safely turn than they actually do. As a result, truck operators might inadvertently smash the back of side of their vehicle into surrounding objects including curbs, light poles, vehicles, and even buildings or overpasses. Depending upon the mass of the truck and the speed at which it’s taking the turn, the resulting collision could be quite serious. Basic physics dictates that the more mass an object has, the harder it is to stop moving once it is in motion. This applies to all objects, including semi trucks. Most drivers know instinctively that trucks have more mass than cars do, but they may not have that same intuitive understanding of the required stopping distance of a big truck. Motor vehicle drivers might maneuver around a truck in very dangerous ways, which could be comparatively safe around a car. Even savvy car drivers don’t necessarily think about the increased mass that the contents of a truck create. Semis in particular have the capacity to store large amounts of cargo, which can add considerably to the truck’s mass, and in some cases increase risk with the transport of hazardous materials. That truck on the road could be empty, or it could be full of goods, which could add greatly to the vehicle’s stopping distance. Semis are different from other trucks because their trailers must follow the lead of the tractor or cab that is driving them. This makes tractor-trailers particularly prone to a phenomenon called jackknifing, where the truck cab turns too suddenly or sharply for the trailer to follow, forming the same shape as that of a jackknife. Jackknifing is particularly common in hazardous weather and road conditions where vehicles skid, such as snow, sleet or rain. Additionally, if a semi is poorly loaded the contents may slide around when the vehicle stops. If the semi comes to a sudden stop, that rapid shift may be enough to make the vehicle jackknife. In 2011 a change in Georgia state law reduced the amount of inspectors checking trucks for safety. With less inspectors came fewer truck inspections, and consequently more unsafe trucks and drivers left on the road. This dangerous combination has resulted in more trucks on the road and less federal regulatory compliance. As a result, Georgia saw a 38% increase in commercial vehicle accidents from 2011-2013. Whether you’re driving a car or a truck on the road, it’s always a good idea to keep in mind the potential hazards of trucks, for your safety and that of your loved ones. Any of these factors can become incredibly dangerous on the road, and can take other drivers by complete surprise. If you have been involved in a commercial truck accident, you should consult with an experienced personal injury attorney that will confidently assess your case. 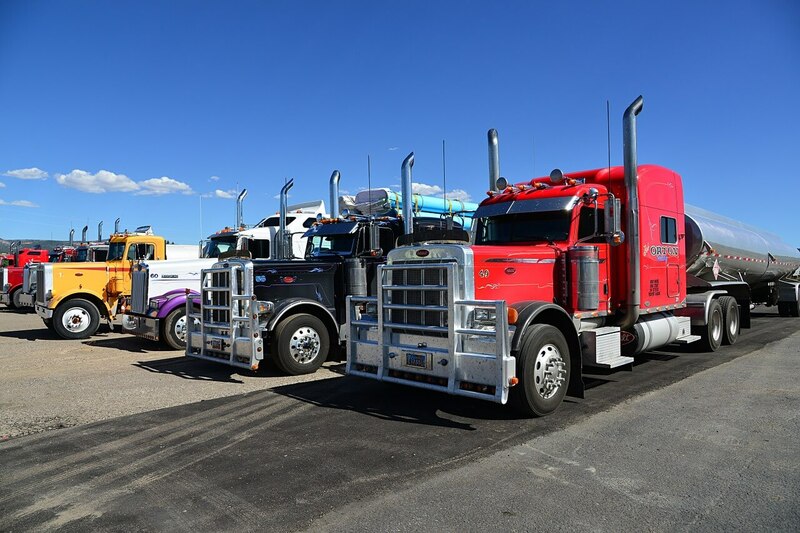 This is especially important because trucking cases involve complex rules and regulations that are not typically present in automobile injury cases. Our team at Brownstein & Nguyen is able to assist in these types of cases. Please feel free to contact us using the contact form to the right or by calling us at 770-458-9060.